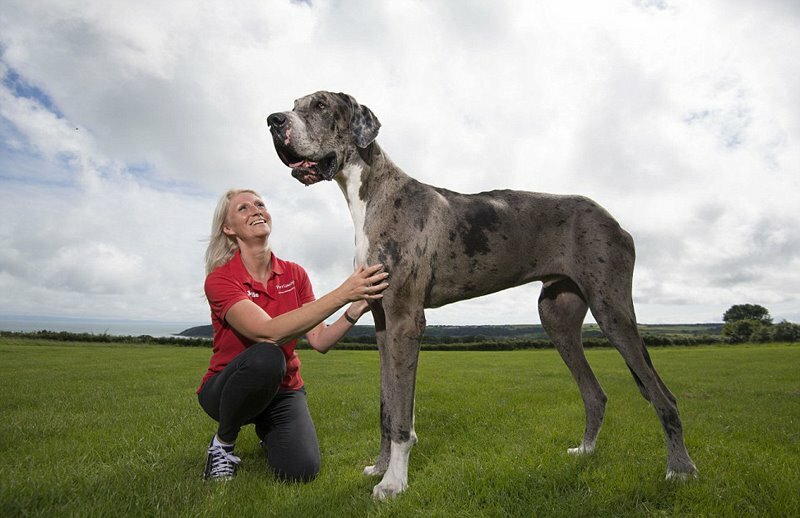 Three-year-old pet Major is more than seven feet tall when on his hind legs and weighs 76 kilograms. 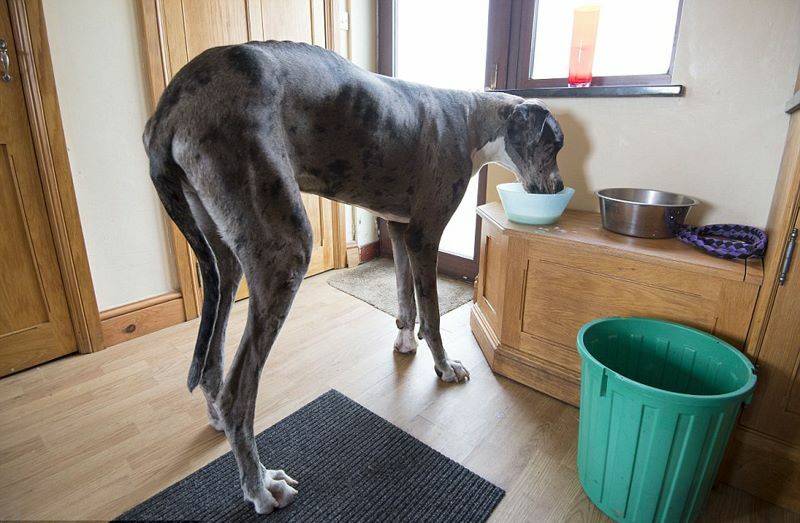 The huge dog sleeps for 22 hours a day on his adult-sized mattress and eats a special diet consisting mainly of chicken and rice. 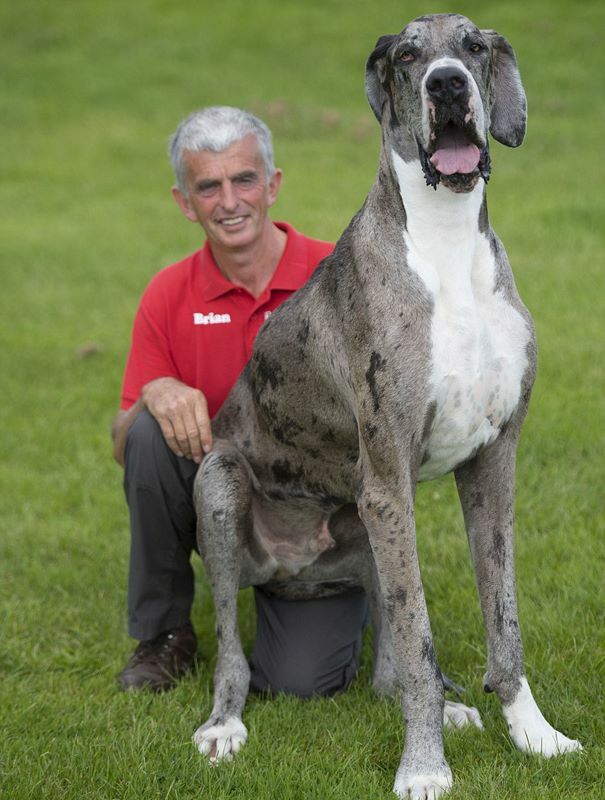 His owners, Brian and Julie Williams from Penmaen, south Wales, say he may look intimidating but he wouldn’t hurt a fly. 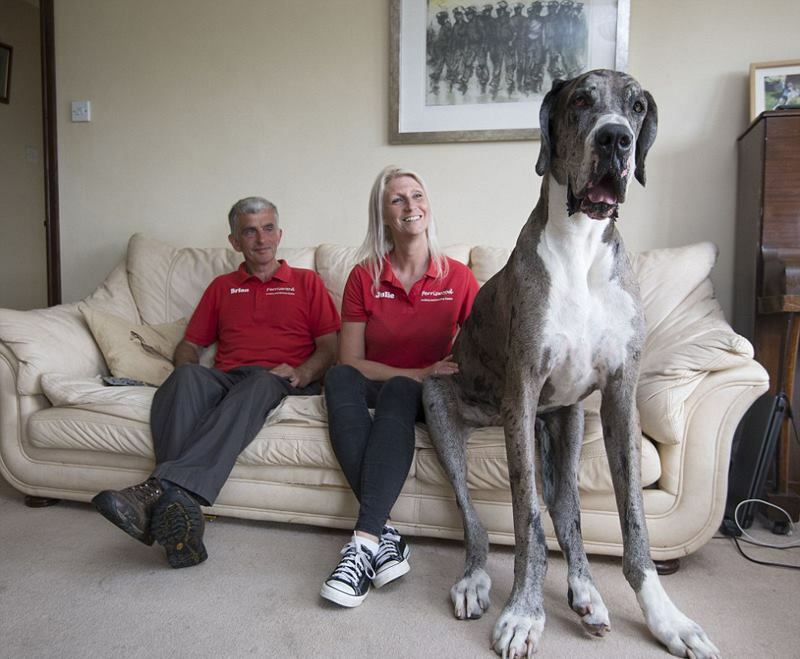 Mr and Mrs Williams are waiting for confirmation he is the world’s tallest dog after officials from Guinness visit them and two other dogs before announcing the new record holder. QUIZ: Can You Identify These Famous Brands by Their Logos?